Dr. August A. Eberhardt graduated in 1976 from Fairleigh Dickinson University School of Dentistry in Hackensack, New Jersey. Prior to studying at Fairleigh Dickinson, he obtained his Bachelor of Science degree from Upsala College, East Orange, New Jersey. During his time at FDU School of Dentistry he was awarded a Community Fellowship Award as well as a Radiology Fellowship Award for developing a TMJ Head Positioner for locating the position of the patient's jaw in prosthetic management and rehabilitation. Dr. Eberhardt has been practicing for over 30 years and has held dental faculty positions at FDU Dental prior to its closure. 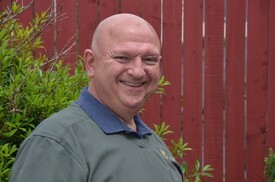 He began his dental practice in Blairstown, NJ but moved the office to East Stroudsburg, Pa in 1985. Dr. Eberhardt has kept up to date on many continuing educational classes, ensuring that his patients receive the most comprehensive and advanced dental care. He is in full-time family dental practice in partnership withhis son, including implant and cosmetic dentistry. Dr. Alan C. Eberhardt obtained his Doctor of Dental Medicine degree from Tufts University School of Dental Medicine in Boston, Massachusetts in 2002. Prior to dental school, he received his Bachelor of Science degree from East Stroudsburg University of Pennsylvania. Dr. Eberhardt has been practicing in East Stroudsburg since 2002. Since he began practicing dentistry, Dr. Eberhardt has also kept up to date on many continuing educational classes, ensuring that his patients receive the most comprehensive and advanced dental care available. 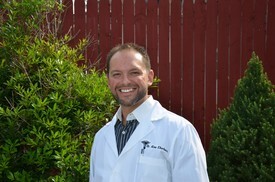 He practices full-time family, implant, and cosmetic dentistry in partnership with his father. Dana joined Eberhardt Dental as a hygienist in January 2014. Priding herself on giving patients an anxiety free experience Dana is both informative and proactive about patient health. 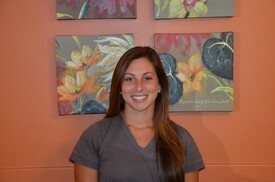 Dana completed her Associates in Applied Science in Dental Hygiene in 2013 from Northampton Community College.